This is a blog post originally posted on No Empty Chairs, the Larson Family blog. Andrea Larson and I met via an online private blog for families who have lost young children. If you would like to be invited to that blog, email stephaniewaite@gmail.com. It is so wonderful to hear from some of our headstone recipients first-hand. You are really changing lives when you make a donation! What an incredible gift. I hope you enjoy Andrea's words. It was a neat experience to be involved in. And it wouldn't have been possible without all of you. WOW! I cried as I read it. You have NO idea how much this means to us. How much we have wanted to get the perfect headstone for our son but haven't been able to afford it and now we are going to get what we want. I'm just speechless and BEYOND grateful. How can I possibly express the DEEP gratitude that is in our hearts at this time? 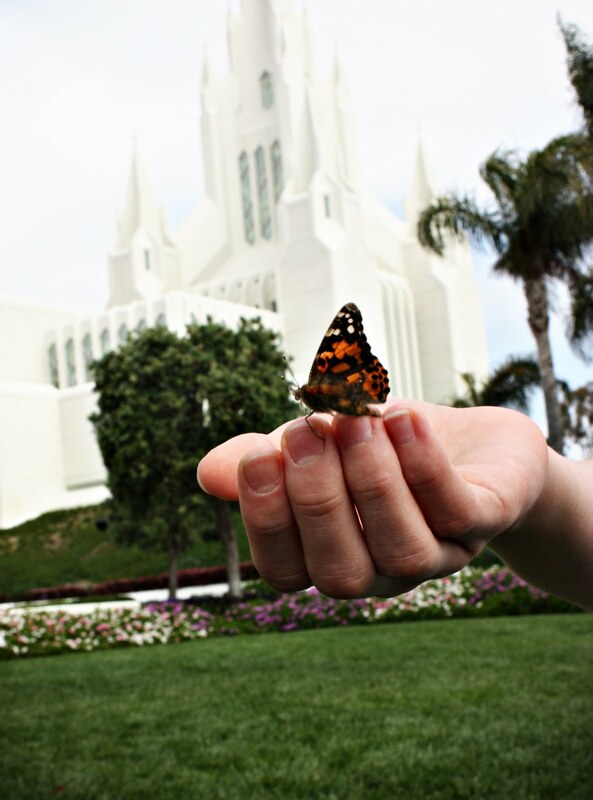 Here is the story of the miracle that happened. My amazing friend contacted Molly and Vic from A Good Grief- some friends of mine that have started a website to help people with grief and also a foundation to help people get headstones for their kids. They started this foundation in memory of their sweet Lucy that died just a couple of months after Wyatt. You can click here to hear their story and what they do for others and click here to go to their website if you would like to make a donation. They had generously pledged a certain amount of money (double the amount they usually pledge) to go towards a bench for Wyatt. Wow! The generosity of so many people is beyond overwhelming! Well, my sweet friends decided that they would try and earn $500 to help towards the bench for Wyatt. Which is not an easy task at all! One of Em's wonderful friends came up with the idea of doing a bake sale for Wyatt while we were out of town to see if they could come up with the extra money needed. Also, my cousin contacted some of my family (weren't able to figure out how to contact my husbands family) and asked for donations. Well, instead of $500 dollars they were able to raise(which truly is a miracle) $1,500 to go towards the bench for Wyatt. Instead of A Good Grief donating $2,000 now they were able to donate a $1,000 and can now use the extra money to help another family. Amazing! Lets just say there have been MANY tears of gratitude shed today. As we opened the envelope full of money and checks that people gave us both Derek and I cried. What a humbling experience. One we will NEVER forget. So many people we love and appreciate that have already done so much for us now have done even more for us..how could we possibly accept anything more? Wow, I just can't even describe the feelings in my heart. So, to ALL of you out there that donated, helped in anyway so that we can finally get the bench we have dreamed of THANK YOU! Those words just don't seem enough but I hope you will accept our heart felt thanks. You have no idea what a huge weight that has now been lifted off our shoulders. I'm not going to go into any detail but since Wyatt's death like so many other people out there we have struggled financially and have had one thing after another happen to us. Just trying to pay off Wyatt's medical bills has been hard. Life and things continued to happen and money for his bench needed to be used for more pressing matters. I finally gave up hope that his bench would actually be something we could afford in the near future and we would just patiently wait. Both Derek and I decided that if we had to wait 10, 20 or more years we would. We both felt like if we were going to get him a headstone we wanted to wait for the one we wanted. The one that would honor our son and in some small measure show the love we have for him. We wanted a bench that we could use as a family when we visited his grave and now we can do that. We will be forever grateful to EVERYONE that has made this miracle possible. We will think of each and everyone of you as we sit on his bench. Words just can't describe fully how grateful we are to all of you. THANK YOU!! The flier that they sent around our neighborhood while we were out of town for the bake sale. "Buy it for Wyatt"
A book we will cherish the rest of our lives. They had this book at the bake sale for people to write notes to us. They also listed all those that donated to Wyatt's bench. Many of my beehives helped with this amazing day and I will be forever grateful to them! Our sweet 11 year old wrote this on our Celebration board tonight...oh, thank you to everyone that has made this possible. Definitely something we will celebrate! Here is the sketches I drew up 2 years ago...now we will be able to make them a reality. I never thought this day would come. Miracles do happen and this is one of the greatest ones we have received. I prayed for a long time that something would happen so we could afford the bench for Wyatt...now my prayers are being answered. Thank you to everyone for making this possible! Thank you for your generosity and for being an instrument in Heavenly Fathers hands. I never thought in a million years that I would have to draw up what I would want on my sons headstone...not something anyone wants to do but at least now we can have the memorial we have painstakingly thought of. I'm sure we will make some changes but this is a good start. 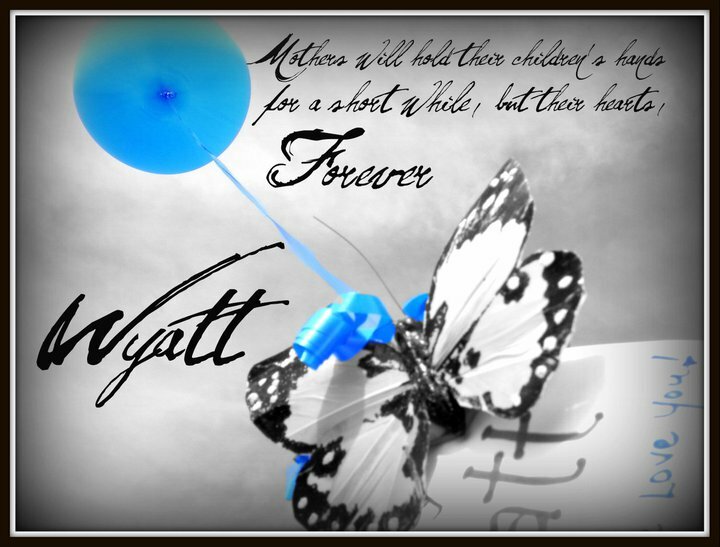 I hope it will be something that will honor our sweet son and be a testimony to those who visit it that we truly believe in Eternal families and that Wyatt will be ours forever. Because of our Savior Jesus Christ we have the sure knowledge that this can happen. I am so very sorry for you loss, I am in the same situtaion. looking for help with a head stone for my 3 1/2 month old grandbaby. She was a health happy baby one day, the next she went to sleep never to wake up again. The medical exam said it was SIDS.. it has been very heart breaking for our whole family. I am really sad that we couldnt afford a headstone to have there NOW we cant do it until spring that breaks our heart, cuz all we have there now is a shepards hook marking for when the snow comes. I pray you find peace as well as help with your son's head stone. My heart goes out to you..
TODAY MY HEART BROKE WITH JOY AND THANKFULNESS, I WAS JUST INFORMED THAT FUNDS WOULD BE DONATED TO GET MY AVA'RAE A HEAD STONE, SHE WOULD HAVE BEEN ONE YEARS OLD ON THE 23RD OF THIS MONTH, AND IM CRYING SO HARD I CAN HARDLY BREATH.. THANKS SO MUCH MOLLY FOR ALL YOU DO FOR OTHERS.. YOU ARE AN ANGEL.. THANK YOU THANK YOU, SO VERY MUCH!!!! My Wife recently passed and is internd at cortland rural cemetary. We were both disabled and of limited income. She has no head stone as of yet, and any donations would be greatly appreciated. I would like to get a headstone through Big Country Monuments of Cortland N.Y. This is a wonderful site. Thank you for all you are doing!